Avtrade’s commitment to developing and strengthening customer relationships and service continues across the Asia region; with increased CAAC approved Singapore based inventory and the utilisation of local component repair services. Avtrade is also pleased to announce the appointment of Toby Smith as the new Regional Account Manager based in Singapore. Toby joined the Sales department in the UK in 2008 as a Sales Administrator and progressed to Team Leader gaining valuable knowledge and experience within the aviation sales environment. 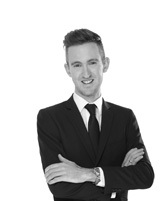 Toby advanced his career by relocating to Avtrade’s Singapore office in the role of Regional Sales Manager, Asia. Responsible for building the customer base and increasing sales, Toby has been instrumental in the development of the Singapore sales team and has now been appointed as Regional Account Manager with overall responsibility for North and South Asia. Committed to developing sales opportunities and providing dedicated 24/7 customer account management, Toby and the Singapore team will utilise their combined industry knowledge and local expertise to further increase service and success in this region.